Levels of pollutants indoors (radon, mold, carbon monoxide, lead, asbestos, volatile organic compounds, air toxics, pet and rodent dander) are often two to five times higher—and may be even be 100 times higher—than outdoor levels. Numerous studies confirm a broad range of health problems caused by indoor environmental exposures: headaches, fatigue, nausea, aggravation of asthma and allergies, transmission of infectious respiratory diseases and life-threatening poisonings. Indoor pollutants in homes and apartments are of significant concern because most Americans spend 90% of their time indoors, with most of that time spent at home. 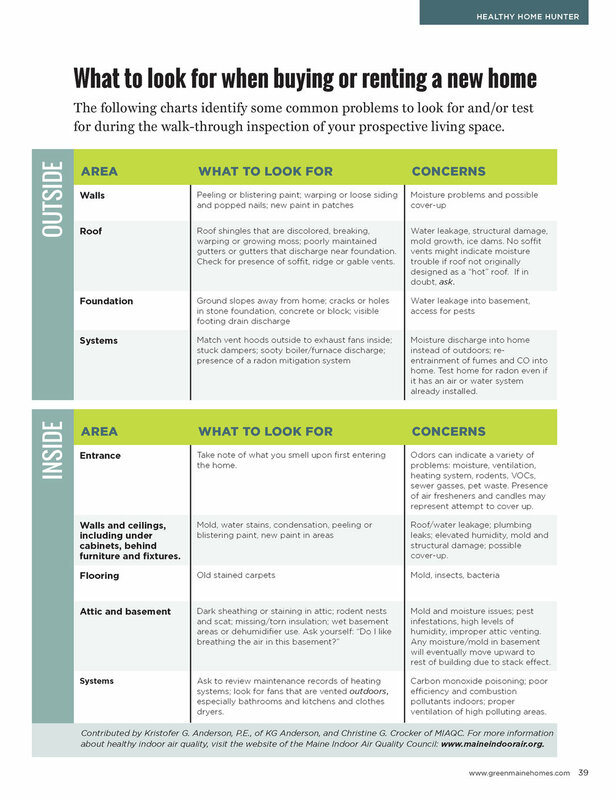 The best way to ensure you don’t end up in a home or apartment that might make you sick is to conduct a thorough walk-through inspection of the property for specific issues that can impact your health and safety. Be aware, however, that the disclosure statement is not a warranty by law—the seller is not obligated to do any testing or investigative work. If the landlord or seller refuses to allow follow-up verification or testing, consider this a red flag and be prepared to walk away from the deal. When renting, follow the same approach as buying a home. Protect yourself by verifying any claims made by the landlord or his/her representative. Insist that proof of repairs, reports and any other information you need be provided before signing an agreement. Legally, the landlord must provide the smoking policy and disclose information on energy efficiency, bed bugs, radon testing and smoke detectors. However, there is no requirement for disclosure of water leakage, mold, lead, rodents, ventilation air, exhaust air, or other pests. These issues can significantly impact your health and well-being, particularly if you have children or if someone in the household has asthma or chronic illness. Maine does have an “implied warranty of habitability,” which would include, for example, drinkable water, adequate and safe heat (68˚F in the winter), an envelope that does not leak water, windows that aren’t broken and adequate pest control. Pay particular attention to moisture in any finished basement space, especially if carpeted. Contributed by Kristofer G. Anderson, P.E., of KG Anderson, and Christine G. Crocker of MIAQC. For more information about healthy indoor air quality, visit the website of the Maine Indoor Air Quality Council: www.maineindoorair.org. 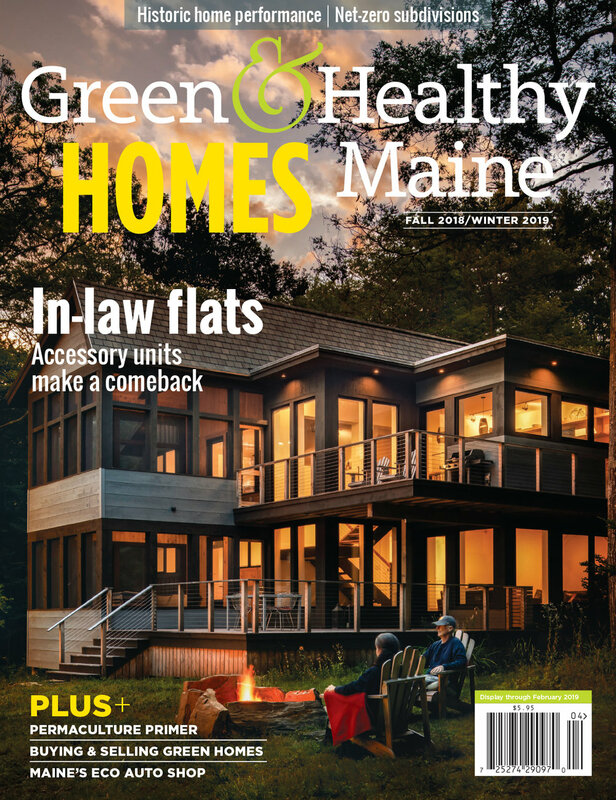 This article is reprinted from the fall/winter 2018 issue of Green & Healthy Maine HOMES magazine. Subscribe today!